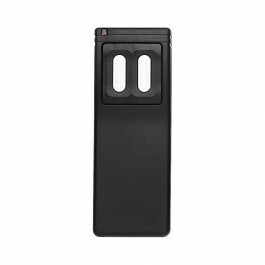 The Model MDT-2B 3-Channel Block Coded Visor Transmitter is a three-channel device, made for use with Linear's access control products. This model comes equipped with three separate buttons, allowing access to three separate channels. 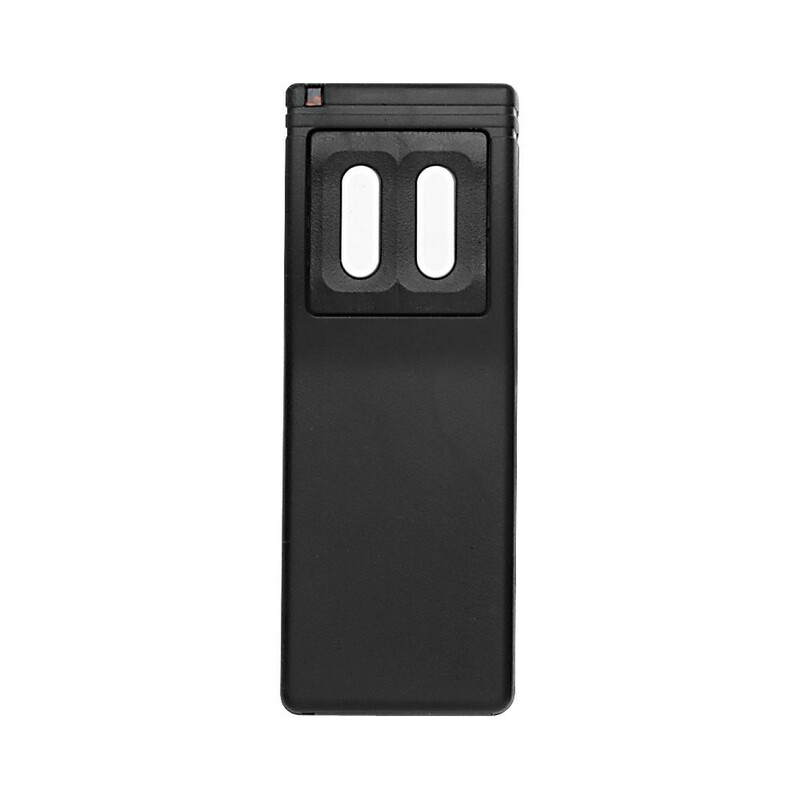 The Model MDT-2B 3-Channel Block Coded Visor Transmitter is a three-channel device, made for use with Linear's access control products. This model comes equipped with three separate buttons, allowing access to three separate channels. Using the left or right button, you can use channel one or two. And pressing the top button will allow you access to channel three. The device comes equipped with a top button cover, allowing you to keep this button hidden. Also included are two lithium batteries for a long life, as well as a visor clip allowing easy access for you from your car. These transmitters also come programed to a subsequent series of transmitter ID codes, and when used with a Linear access controller, they can be remotely programmed into system memory by entering the first and last codes of the block into the system. In order to further customize the system, you are also able to use facility codes.